Rounded corners – Nice and friendly to feel when picking them up now! Added a little plus so it’s possible to tell which way in the UVI-01 sensor goes. All of these files are under a Creative Commons Attribution Share-Alike 3.0 license, so if you wanna make changes, knock yourself out! 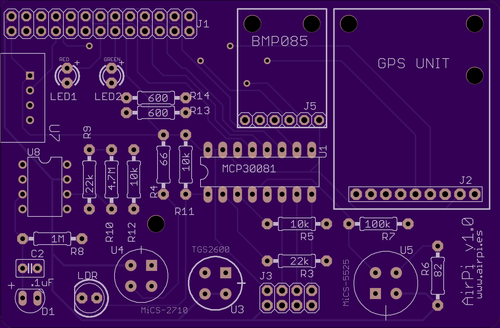 We’ve ordered the components (and all have arrived, except for the PCBs which are due on 1st July) for 20 AirPi kits, pictured at the top of this post! We’ll be selling these at the Mini Maker Faire Elephant & Castle on the 6th July, so come along and say hi! We’re not including the TGS2600 sensor because it was by far the most expensive, and also the provided the least useful data. 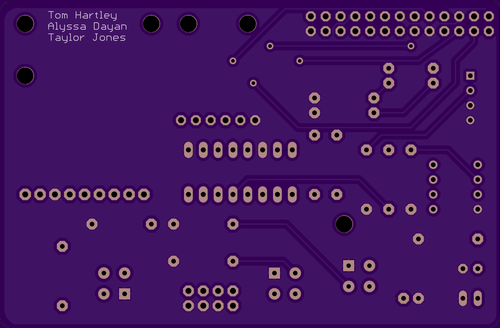 However there is a footprint for it on the board if you want to buy one and solder it in! 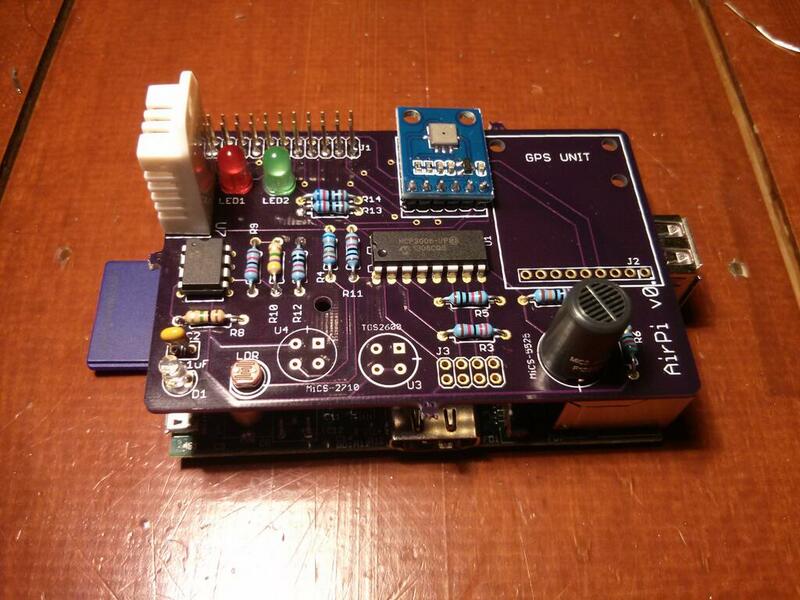 There is also space for Adafruit’s Ultimate GPS breakout if you want to hook that up as well. If you can’t solder, we’ll put a kit together for you for a small fee, and if we have any left over you should be able to buy them from cottonpickers website! If you really wanna get hold of one but can’t make it to the faire, shoot us a message and if demand is high enough we might buy another batchload of components for kits. The response since Cosm shut down and was replaced by the fairly-commerical Xively has been amazing. We’ve had people from all over the world offering to host our data and help us – thank you so much. We’re currently looking at our options and once we’ve got something set in stone (we will have before the maker faire) we’ll put out another blog post. Thanks for all your support, and KEEP MAKING! Nocturnal on Printed Circuit Boards! Huw on Printed Circuit Boards!